Reminder: It’s West Ealing Family day tomorrow! Leeland Road; or freshly pressed local apple juice, local crafts and more in St James Avenue. 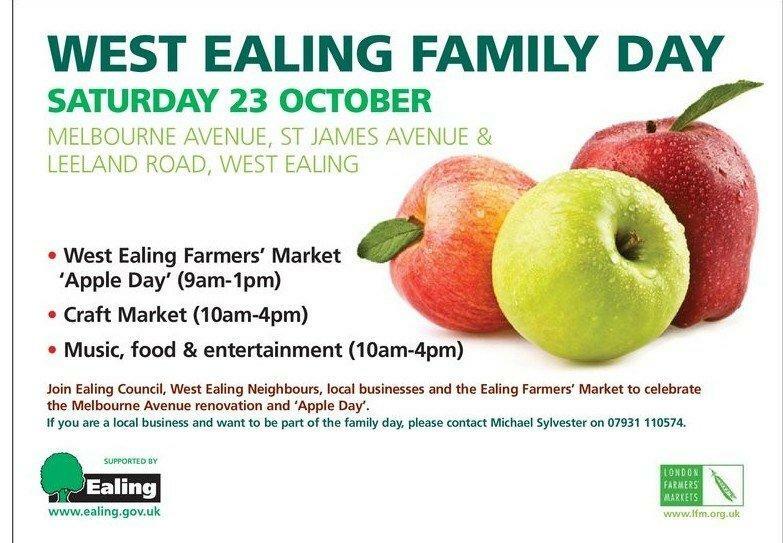 Do please drop in and join us in celebrating everything that’s good about living in West Ealing. 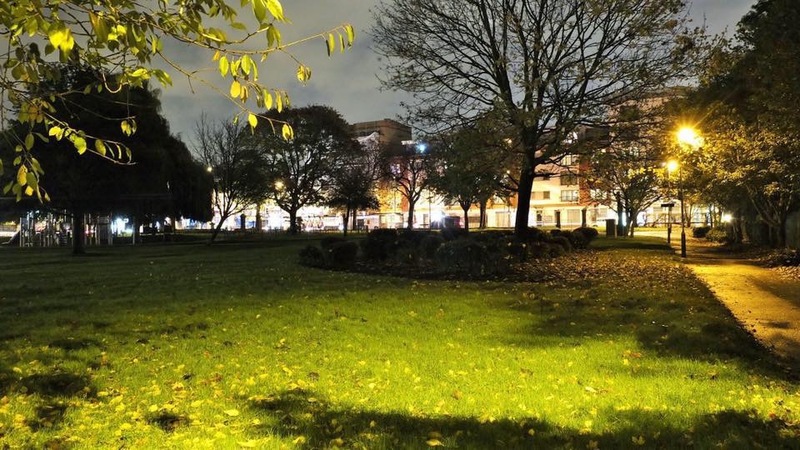 Vice Chair of West Ealing Neighbours, Eric Leach, looks at how Ealing Council is proposing to provide for services to 2026, and finds much to be lacking, especially in terms of community infrastructure. In the real world residents are interested in being happy, safe, healthy and fulfilled. If they are parents they want their children to receive a good education. In terms of land use, meeting these needs requires designating ‘preferred use’ on land to be used for providing a whole range of services. Top of the list for these services is the need to provide adequate facilities for maintaining law and order, healing the sick and teaching our children. Also on the list are open space, transport, play, cultural and sporting needs. On Wednesday 13th October 2010, Ealing Council convened a public meeting to explain how it was going to allocate ‘preferred land use’ for these purposes over the next 15 years. Ealing Council’s home building plans over this period include introducing over 20,000 new residents into the so-called Uxbridge Road Corridor (Southall to Acton). The Council’s plans for home building are very specific. For example in the centre of West Ealing 18 sites are identified for building 1,245 new homes. The vast proportion of sites involve demolition of existing buildings. However the plans to build new Police Stations, healthcare centres or schools along this corridor are very vague. In West Ealing centre for example no specific sites are identified to provide these additional facilities to support the new 3,000+ residents. As many residents at the meeting pointed out, the Uxbridge Road corridor is heavily developed. Consequently there is no space to build these new ‘infrastructure’ facilities. The Council does not suggest demolishing existing buildings to provide space for schools, healthcare or Policing centres. The provision for Primary education in West Ealing (2011 – 2026) I found especially worrying. There are only two State Primary Schools in West Ealing centre – St John’s and Drayton Green. There is no realistic scope for expanding these schools unless they are rebuilt as educational tower blocks. In the south of West Ealing, Fielding Primary has already been expanded to a staggering 870 children (by building on the playing field). Hathaway Primary in the north has a playing field that could be built on (presumably) but no plans exist to extend Hathaway. All very strange. There is some vague commitment to search for a new Primary School site in central Ealing. Given that we are now in year 6 of this formal planning process the commitment to ‘searching’ is really not that impressive. No preferred land use details exist at for all for any cultural infrastructure in the whole of Ealing. There is no commitment to building an integrated transport hub around Ealing Broadway Station. UK Planning Law is clearly not helpful to residents or Councils in the provision of infrastructure. Money for infrastructure is apparently to be found by collecting up the financial crumbs from the rich property man’s table. The latter is either a rich Housing Association (eg A2Dominion) or a private property development company (eg St George). Apparently there are never anywhere near enough crumbs to make any kind of infrastructure ‘meal’. Ealing Council’s track record in enforcing these crumb collection exercises (S106/Planning Gain) appears to be very poor. Formally the meeting was reviewing the document ‘Ealing 2026: Infrastructure Delivery Plan: September 2010: Ealing Regeneration & Housing’. This document is part of Ealing Council’s ‘Evidence’ to support its Local Development Framework proposals. Only 25 people turned up to this meeting. This included two Conservative Councillors but no Labour Councillors. No senior Planning or Economic Regeneration Officers bothered to turn up. The meeting was held in a little known, difficult to find community centre in the daunting South Acton Estate. Allison Franklin and Chris Gilson look at the possibilities of having a pop up cinema in West Ealing. Pop up shops and restaurant are common in London nowadays: an empty retail unit is taken over for a few weeks with minimal fittings and then it’s gone. This concept has now extended to cinemas; films are being shown in places as diverse as old railway tunnels, under motorway flyovers and even abandoned petrol stations. Pop up cinemas are very attractive as they will provide a way for people to get together and meet their neighbours and other locals, and not break the bank going to the pictures. If you’re interested in helping out with starting a pop up cinema in West Ealing, pop us an email. St James Avenue is all about what people local people are producing, whether its crafts or artworks, and will play host to the first ever street craft market in West Ealing. WEN’s Abundance team will be busy making apple and pear juice all pressed from locally picked fruit and St James Church will house an art exhibition by the Brent Lodge Park Arts Collective – a collective of artists with and without learning difficulties. The church will also open its cafe where you can put your feet up and try locally made cakes and sandwiches.